Would you like to enhance your smile to give you more confidence? Whether it be a small issue that has concerned you for years or a seemingly larger problem solutions can range from very small subtle changes to more advanced and complex treatments depending on what your wishes are and what results you wish to achieve. We can discuss all options with you to tailor your treatment to you individually. 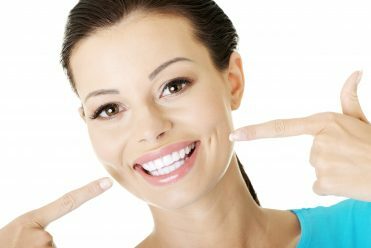 If you are self-conscious about the shade of your teeth or if you have some staining on some of your teeth, professional teeth whitening treatment is a safe and recommended option for you to consider. The whitening process is gentle and occurs over a period of approximately 2 weeks wearing the trays each day/night to produce the most colour change. You can assess the colour change at home and can stop as soon as you are happy with the effect- some people whiten for the 2 weeks others may stop sooner. With all whitening treatments, individual results will vary and are based on your initial tooth colour and the nature of your tooth staining. If you require a filling in your tooth we can use ‘white’ filling material that matches the shade of your surrounding natural teeth. The material is made of a resin with filler particles in it which is set with a blue light. White fillings blend in much better than the metal based fillings and make your tooth look as close to an unfilled tooth as possible. You may also choose to have any existing metallic fillings replaced with ‘white’ fillings. This will allow you to smile without showing dark or metallic fillings, giving your teeth a more natural appearance overall. Are your teeth stained, chipped, or not aligned on top of each other? Veneers are a good treatment option to consider because they look like natural teeth and don’t require a major procedure. Veneers can also be used to close small gaps, when braces are not suitable. If one tooth is slightly out of position, a veneer can sometimes be fitted to bring it into line with the others. A veneer can be placed directly onto your tooth if it is made of ‘white’ filling material or it can be made by the laboratory out of porcelain. 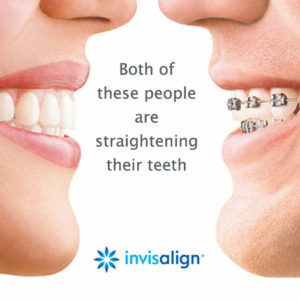 Both are bonded on top of your own tooth and are less destructive than full crowns or caps. Decayed or chipped teeth can often be repaired with white composite fillings that look natural. However, if the damage is more substantial, particularly on the back teeth, then an inlay or onlay would be recommended. Inlays or onlays can be made from a number of strong materials such as metals or ceramics. An inlay is a small filling that fits into the biting surface of a tooth. An onlay covers a larger area of the tooth and is better suited to bigger cavities. Gold was traditionally used for these types of restorations, however in recent times, hard-wearing tooth-coloured ceramics have become a more popular choice of material. This is a more aesthetic way to restore the teeth and creates a more natural-looking smile. While these are being made, you will wear a temporary filling. When your inlay or onlay is ready we will bond it into place using a special adhesive, after removing the temporary filling. Your restored tooth will not only look like a real tooth but also function like one, allowing you to bite, chew and eat without any discomfort. Thanks to advances in digital technology (called CAD/CAM) such restorations can be made using a special milling machine for example CEREC. This means you will need less visits to the dentist to have your tooth restored however, the outcome is the same in both cases. Crowns are a solution for substantially damaged teeth. Traditionally crowns were made from gold, then porcelain fused to metal but as both of these options can produce teeth that do not look natural, ceramics are now favoured. An all-ceramic crown has no metal component and mimics a natural tooth very closely and also has the advantage of being very strong and so is a long lasting solution. This is a more aesthetic way to restore the teeth and creates a more natural-looking smile. When your crown is ready we will bond it into place using a special adhesive, after removing the temporary crown. Your restored tooth will not only look like a real tooth but also function like one, allowing you to bite, chew and eat without any discomfort. Bridges are a solution for spaces. They do not replace teeth but are an alternative to having spaces where teeth have been lost or are absent. Traditionally bridges have been made from gold, then porcelain fused to metal but as both of these options can produce teeth that do not look natural, ceramics are now favoured. An all-ceramic bridge has no metal component and mimics natural teeth very closely and also has the advantage of being very strong and so is a long lasting solution. This is a more aesthetic way to fill spaces and restore the surrounding teeth, creating a more natural-looking smile. 4. When your bridge is ready we will bond it into place using a special adhesive, after removing the temporary restorations. 5. Your restored tooth will not only look like a real tooth but also function like one, allowing you to bite, chew and eat without any discomfort. Thanks to advances in digital technology (called CAD/CAM) such restorations can be made using a special milling machine for example CEREC. This means you will need fewer visits to the dentist to have your tooth restored however, the outcome is the same in both cases. Removable or fixed braces may be used depending on your needs this will be discussed with you when you have an orthodontic assessment. Straighter teeth are healthier teeth as there are no gaps for plaque to build up over time. Orthodontics are a long-term investment in your oral health. Dr Thomas Crawford Clarke is the grandson of Geoffrey Clarke who founded the practice. He will now be working along side his Mother Sally-Anne and Sister Jessica in our family run dental team. He currently works on Harley Street but will be offering Invisalign at the practice from Spring 2018. The practice is holding an open day on Friday the 23rd of March to offer existing and new patients the opportunity to have this treatment at a special introductory offer when signing up on the day. There will be an intra oral scanner present so that you will be able to see immediately the improvements it could make to your smile. If you would like more information about this fantastic introductory offer please get in touch with the practice. One of the team would be delighted to help and book your free consultation. Shrubbery dental Practice offer Interest free finance to help spread the cost for treatment. Please ask for more details if this would be of interest.